So heavily reliant on CG elements that it forgets to pack in a coherent story, ‘Priest’ takes itself way too seriously for an action fantasy film. 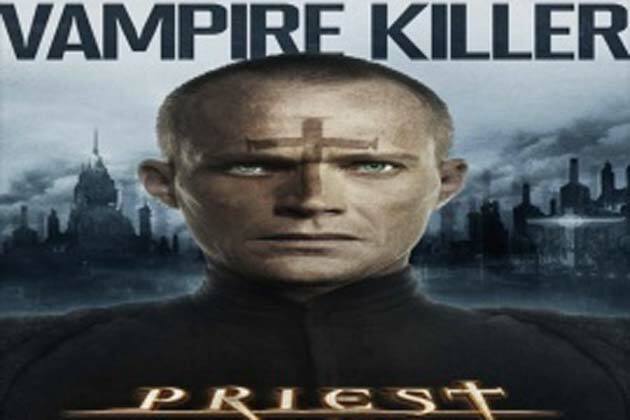 There isn’t even a hint of humor or the slightest wit that might serve as relief from the relentless action scenes; and aside from a thrilling climatic set-piece on a speeding train there’s nothing original about the crash-bang-boom sequences in this film.I’m going with one out of five for ‘Priest’. I can’t think of any reason why you’d want to put yourself through this punishment. Bettany is in great form as the maverick man of God. But more than the performances, it is the well-choreographed action sequences that keep you glued to your seats. The high-powered bikes, the tantalizing tango on the top of a speeding train and the sundry encounters with weird forms of evil keep the clock ticking. The 3D effect however is minimal and the dark glasses make the darkness even more pervasive. Take a back seat Edward Cullen. The bad bloodsuckers are here, and yes, they wear no lip gloss. The movie is set on a huge landscape, allowing it the space that epics usually operate upon and has as its point of reference, a popular Korean comic. Okay, so far, so good, one would presume. With so much going right in terms of the ingredients one least expects things to go wrong. For some reason, they do. Unconsciously adventurous and strikingly-shot with an impressive music score, where Stewart gets wrong is letting its script dip in too many genres, straddling from one element to another whereupon what he serves in the end is a confused conundrum.